Imagine majestic oak trees draped in Spanish moss, lovely historic plantations, and soul-soothing seascapes. 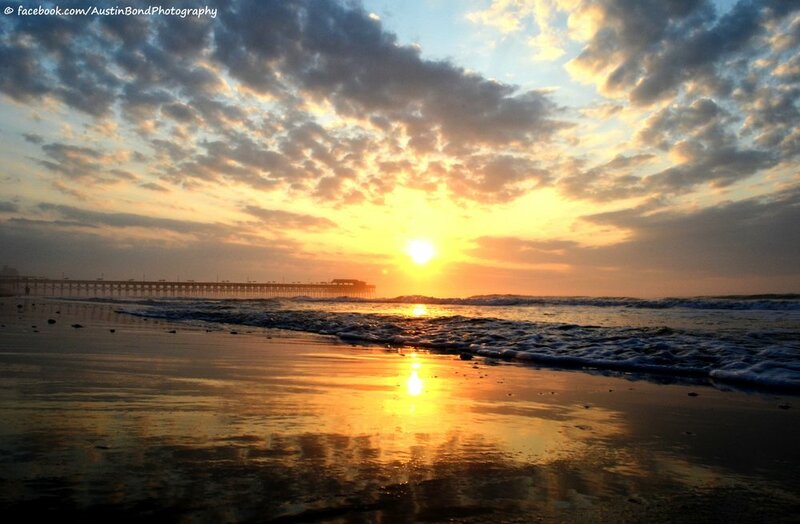 This beautiful vision can become your reality on South Carolina’s Hammock Coast. Home to the famous Pawleys Island Hammock Company, these hand-woven hammocks are a signature way to relax along this stretch of coastline. Travelers from all over come here to unwind and recharge. 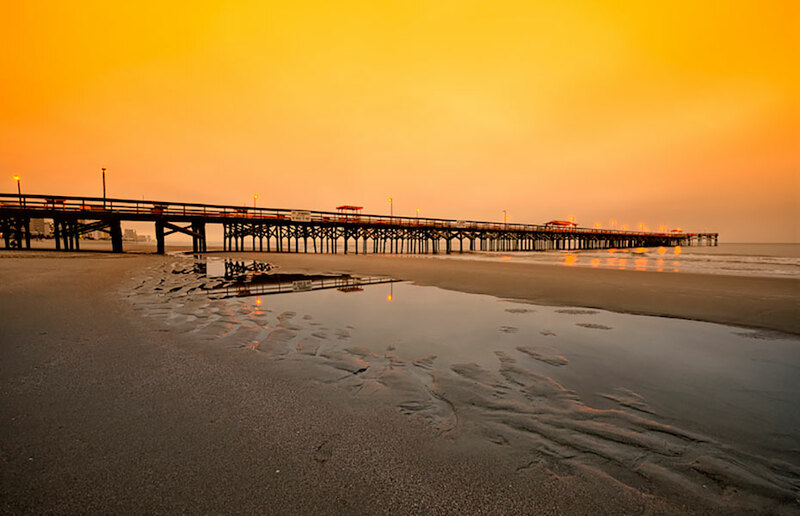 Pack your bags and hit the road to this Southern coast known for peaceful ambiance and a slower pace. Explore Huntington Beach State Park, where visitors play and relax on three miles of pristine Atlantic Ocean beach along with the surrounding inland wetlands. Located within the park, the picturesque Atalaya Castle was the winter retreat of world-renowned American sculptor Anna Hyatt Huntington and her husband Archer. Built in the 1930s, it’s a stunning example of Spanish Mediterranean architecture, which is showcased on this grand seaside castle. Today, it sits without furnishings and stands as an open-air structure for guests to explore and learn about the castle’s heydays. Be sure to get an audio tour to gain interesting historical facts about Atalaya and its former owners. Be a nature tourist on an easy kayak paddle over calm waters for an up-close look at the low country’s environment. Shaded by cypress trees, you can paddle with a group of fellow nature enthusiasts led by Black River Outdoors. The friendly guides will point out nesting ospreys, numerous turtles, a snake hugging a tree, and one sneaky alligator who pops up his head to check everyone out. Kayaking is a great way to check out the unique natural surroundings of the Lowcountry. Step back in time on a tour of Hobcaw Barony, a 16,000-acre natural research preserve with tons of history. Board a bus for a trip down rustic dirt roads to learn about the ecosystem of the Lowcountry. Stop at the 1930s Hobcaw House, where Winston Churchill and President Franklin Roosevelt were entertained. Drive through Friendfield Village, a 19th century slave village with many of the original buildings preserved. Built in 1740, Hopsewee Plantation was one of the South’s major rice plantations and birthplace of Thomas Lynch, Jr., one of the signers of the Declaration of Independence. Today, visitors can take a tour and learn about the plantation, from its origins up to the current ownership. If you like walking around a charming, historical town, then Georgetown is calling your name. Georgetown is one of the oldest cities in South Carolina, and you’ll feel its lure immediately. Live oak trees line city blocks where big box stores don’t exist, but locally- owned shops do. Along Front Street, visitors can shop for anything from unique housewares to clothing boutiques. While in Georgetown, make you way over to the waterfront to stroll along Harborwalk, a wide promenade along the river. You can observe the sights and sounds of the scenic harbor, watch boats sail by, and check out homes and outdoor riverside restaurants. The lively outdoor restaurants are ideal to take in the view while dining on a seafood dinner. After the sky has faded to darkness, those brave enough can go on a guided tour to learn about maritime ghosts and other lost souls still thought to be roaming among the living. Go shopping at Hammock Shops Village on Pawleys Island—it’s the perfect place to swipe the credit card a few times. Under towering oak and pine trees, shoppers stroll along brick paths to over 20 clapboard-style cottages filled with one-of-a kind shops; there are no chain stores here! The Village has been around since 1938, so you can see and feel the history around this pedestrian-friendly shopping destination. acres, you can explore the banks of the Black River, take leisurely walks, and relax in the sheer beauty of the plantation. After a visit here, you’ll feel as if you’ve traveled back in time, returning to the present feeling refreshed from the peace and solitude of this beautifully- preserved place. Centrally located on Pawleys Island, Litchfield Beach and Golf Resort is the perfect oceanfront lodging for active families. A variety of condominiums are spread throughout the sprawling beachfront property, and guests can enjoy four award-winning golf courses, numerous tennis courts, and winding bike trails. Of course, the beach is right at your doorstep, along with outdoor pools and a lazy river—ideal ways to cool off from the summer heat. 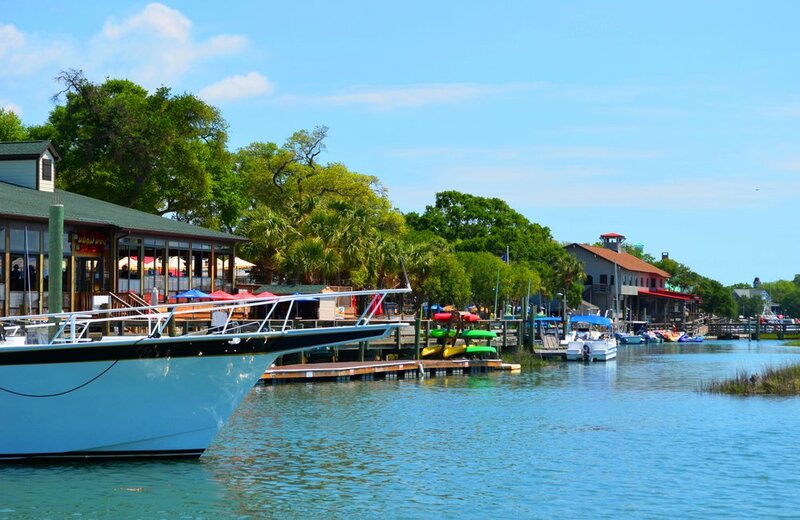 Known as the seafood capital of South Carolina, Murrell’s Inlet has an abundance of seafood restaurants. It’s not surprising to find an enchanting Marsh Walk in the center of this historic fishing village. The wooden boardwalk meanders alongside a natural saltwater estuary, where the bevy of seafood spots are located. Here, you can savor freshly-caught local seafood in Lowcountry dishes. After a bit of shopping at the Hammock Shops Village on Pawleys Island and you find that hunger has set in, go over to BisQuit, located within the Village. Here, they whip up unique flavor combinations on biscuits or atop burgers. Be sure to save room for their signature milkshakes—they’re worth every calorie! For a more upscale dining option on Pawleys Island, Bistro 217 is a popular restaurant offering seafood, steak, and pasta dishes along with a full bar and courtyard. A local institution, Frank’s Outback attracts both locals and visitors who, for many years, have loved the informal setting and relaxed atmosphere dining. In lovely Georgetown, there’s a wide variety of dining choices. For different flavors like sushi and hibachi-style steak and seafood meals, stop by Rollin Local on the famed Front Street. A popular lunch spot is River Room, where diners can enjoy amazing waterfront views and delicious fare. Steamed buckets of oysters, fresh whole flounder, and mouthwatering po’boys can be devoured at Big Tuna Raw Bar, located in a rustic building between Front Street and the river. You can come and just swing in a hammock. Or, you can fill your days and nights exploring, seeing, and tasting the Hammock Coast. It’s entirely up to you how you want to spend your time in this laid-back Southern destination. O’Keeffe’s work, particularly her late-period New Mexico landscapes and still-life studies, show mastery in exposing nuanced layers of beauty and deeper meaning found behind her gaze. “The City Different,” Santa Fe Tourism’s tagline, embraces O’Keeffe’s notion of “different” being in the eye of the beholder. History buffs embrace the integrity of the Pueblo-style architecture, the well documented legacy of the city’s early 17th century Spanish colonization, her historic central Santa Fe Plaza, and the famously narrow and twisted streets. A visit to the Palace of the Governors/New Mexico History Museum rewards with a rich exploration of Santa Fe’s colorful past and insight into the proud sense of place locals lay claim to in this, the second-oldest city in the U.S., established in 1607. The single story fort-like structure is the oldest continuously occupied public building in the U.S., and its exhibitions show how the progression of Spanish colonialists, Mexican explorers, and American adventurers all put their stamp on this territory. Of note is the Treasures of Devotion exhibit, an extensive collection of hand-carved and painted bultos, retablos, and crucifijos dating from the late 1700s, which illustrate the distinctive tradition of santo making in New Mexico. The Plaza engages contemporary art lovers with special Native American pride on display at the IAIA Museum of Contemporary Native Arts, an inviting space with activist, folk and modernist expressions by premier Native American artists. Creatives delight at finding themselves in the third largest art market in the United States. The fabled Canyon Road has no less than 31 galleries to explore, and there are dozens more downtown. Santa Fe boasts public art installations around every corner, a vibrant performing arts scene, and the majestic outdoor Santa Fe Opera that beckons to international audiences each summer. Santa Fe’s Georgia O’Keeffe Museum is aptly on most visitor’s bucket list. The compact space allows for ease of navigation and takes guests on O’Keeffe’s journey from rural Wisconsin farm life to teaching gigs across mid-American to the bright lights and solo exhibitions in New York City and her life-long affiliation with photographer/mentor/promoter/husband, Alfred Stieglitz. The museum highlight’s O’Keeffe’s love affair with New Mexico and both depicts her life and pursuits at nearby homesteads (easy day trips) of Abiquiu and the storied Ghost Ranch. Santa Fe’s affection for all things O’Keeffe extends to her culinary influence. An avid gardener and farm-to-forker before it was a thing, O’Keeffe pursued organic farming and a holistic approach to food. Visitors gain firsthand O’Keeffe kitchen stories from her personal assistant, Margaret Wood, in a special three-hour demonstration class at the Santa Fe School of Cooking. The multi-course meal includes Wood/O’Keeffe recipes such as Arugula salad with herb dressing, Corn soup, Baked chicken with lemon, Fried potatoes and Norwegian apple pie cake with rum sauce. Culinary culturists looking further back in time are delighted at Santa Fe’s Kakawa House of Chocolate. This unique chocolatier specializes in historic chocolate elixirs including those from Pre-Columbian, Mesoamerican, Mayan, Aztec, European, Colonial American, and Colonial Mexican peoples. Kakawa—the Olmec word meaning cacao or chocolate—serves historic recipes alongside dynamite specialty chocolates (goat cheese sage truffles are a best seller) and is the consuming passion of owners and former fashion industry wonks, Tony and Bonnie Bennett. mule deer, bats, American pika, elk, badgers, tarantulas, and even Grizzly bear. people navigated this rugged country. At an elevation of 7,200 feet, Santa Fe is the highest state capital in the country. A day’s touring in this rarified air leaves one both hungry and thirsty. No to worry, as Santa Fe is a culinary powerhouse with libations and dining options that satisfy on each count. The margaritas are cold and the salsa is hot at La Choza, a local institution and third-generation family run restaurant, and the first stop on Wander New Mexico’s Railyard Food Tour. La Choza owner Sarah Carswell explains the difference between “New” Mexican cooking and “Old” Mexican cooking, using the simple but delicious dish of pozole to illustrate. New Mexican-style pozole—a fermented dried corn rehydrated in a chili infused broth—is bright and acidic with lime juice, fresh cabbage, and avocado, and is served as a side dish. Traditional Mexican pozole, on the other hand, is served in the style of a hearty stew as a main dish. Tacos here are served soft or crisp, with fish, pork, or beef in blue corn or traditional tortillas—crowd favorites all around. Julia: A Spirited Restaurant & Bar greets guests with a stunning dining room and features locally-sourced dishes created with flair by executive chef Jon Jerman. Chef Jerman’s nuanced yet decidedly unfussy approach shines in a series of small flavorful tapas plates, proving his knowledge of flavor pairings, and the delightful shared plates facilitate tableside conversation. Jerman’s Green Chile Duck Empanadas—golden buttery pouches of savory dough encasing confited duck—are served with a roasted tomato salsa. Even the most basic Spanish-style olives get extra love from being fire roasted, bathed in fruity Spanish olive oil, and served alongside a crusty garlic rubbed baguette and pepita-Romanesco. The real star is chef’s Bacalao—salt cod fritters with a mojo verde dipping sauce that is Santa Fe on a plate. The restaurant’s namesake, Julia Staab, wife of Abraham Staab, was once resident of the manse now converted to the historic La Posada De Santa Fe, a spa, resort, and luxe accommodation. This six-acre retreat is only blocks from Santa Fe Plaza and a most comfortable retreat while on holiday. Old and New World unite under the thoughtful construction of acclaimed chef John Rivera Sedlar at ELŌISA, New Mexico’s sole James Beard nomination as 2016 Best New Restaurant. ELŌISA finds inspiration in Sedlar’s grandmother, longtime personal chef to Georgia O’Keeffe. Small plates include Tortillas Florales made from heirloom white corn tortillas and served with avocado Indian butter and Zuni Jicama Tacos­, featuring fresh jicama wafers, escabeche, avocado, cilantro, and pickled ginger. Teasing the palate as openers, they’re followed by specialties like Pecos River Trout, which is a delicate blue cornmeal-crusted pan-fried trout served with oregano, warm corn salad, and piquillo pepper sauce; and the Chile Spiced Shrimp “Newberg,” meaty pan-fried shrimp finished with brandy and creamed leeks. The restaurant is in partnership with the Drury Plaza Hotel Santa Fe, a historic renovation of the former St. Vincent’s Hospital. Opened in 2014 with more than 180 rooms, the hotel is one the largest in the heart of the city. Guests enjoy spacious, comfortable rooms and handsome public spaces including rooftop lounge and pool. La Plazuela delights diners with an attentive staff, well-crafted cocktails, and a kitchen that executes at every turn. Situated in the most beautiful dining room in Santa Fe, La Plazuela makes for a perfectly romantic evening and the place to linger over the likes of an Osos Buco-style Braised Pork Shank nestled in a bed of cheesy chile grits, red onion confit, and sautéed spinach, or Northern New Mexican specialties such as Rellenos de La Fonda—Mexican cheese stuffed green chiles, beer-battered, and shallow fried topped with Christmas Chiles. 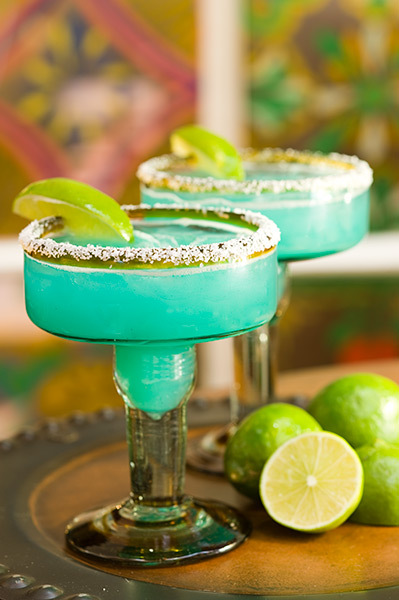 Start with La Plazuela’s famous tableside guacamole for some fun culinary theatre to accompany your margaritas. After dinner, admire the vast and eclectic art collection at La Fonda on the Plaza. Painting and sculptural-work by Pueblo artists, Native Americans, and some of the finest Southwest American artists make up a prized collection that set this historic property apart. La Fonda is the only hotel situated directly on Santa Fe’s Plaza. Hatch Green Chiles are ubiquitous in New Mexico and enliven even in the most unexpected places. Case in point, Santa Fe’s New York Deli. If a traditional Southwest power breakfast is more your style, head over to the Rosewood Inn of the Anasazi. This charming boutique hotel offers guests a quiet luxe respite from the day’s harried shopping, touring, and site seeing. Enjoy specialties such as light and fluffy Blue Corn Pancakes, Huevos Rancheros, or Chilaquiles, along with freshly-squeezed green or orange juice and aromatic coffee while you plan the day’s conquests. Santa Fe’s wonders belie the city’s compact footprint—a week’s holiday here will barely scratch the surface. Point your compass west, and be ready to experience The City Different. Anyone who has ever been to Tavern on the Tracks on an NFL Sunday knows that Buffalo Nation is alive and well in Charlotte. Nary can a turquoise and black jersey be found among the Buffalo expats that have made the Queen City their new home. They’re a proud bunch that often wax ecstatic not only about their prized football team but also about coming of age with bars that stay open until 4:00 a.m. and a cuisine that is uniquely its own. As an expat from a Rust Belt city myself, the nostalgia is lost on me. I proudly declare Charlotte as my new home, trading in my Browns jersey for a Panthers jersey. Thus, I decided to make a trek up to Buffalo to see what all the fuss was about. And, I was quite impressed with what I found. 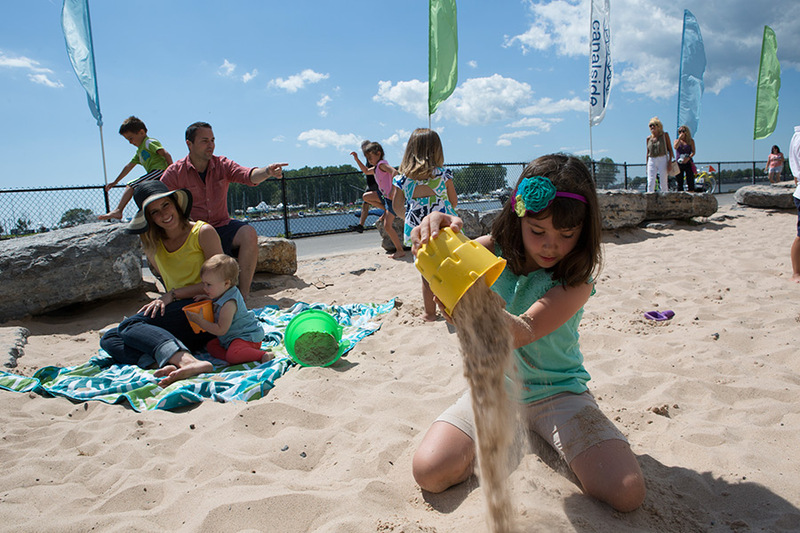 The city has plenty to offer, from history to recreation and food. A great way to acclimate yourself to Buffalo is with a Buffalo River History Tour. The 90-minute guided river cruise journeys you through the city’s history from when the city was once one of the wealthiest in the country—thanks to the Erie Canal—to the city’s dark days after deindustrialization. Along the shores are ruins of former working grain silos that serve as reminders of where the city has been. Among the relics, a few spaces are being repurposed as entertainment venues, giving a nod to where Buffalo is headed as younger generations return home to make the city great again. After the cruise, spend some time exploring Canalside, where the boat debarks. The $300 million investment in Buffalo’s waterfront is the crown jewel in the city’s revitalization efforts. Locals enjoy the outside space year-round from ice skating and ice biking in the recreated Erie Canal in the winter, to Thursday night concerts in the summer at Central Wharf. 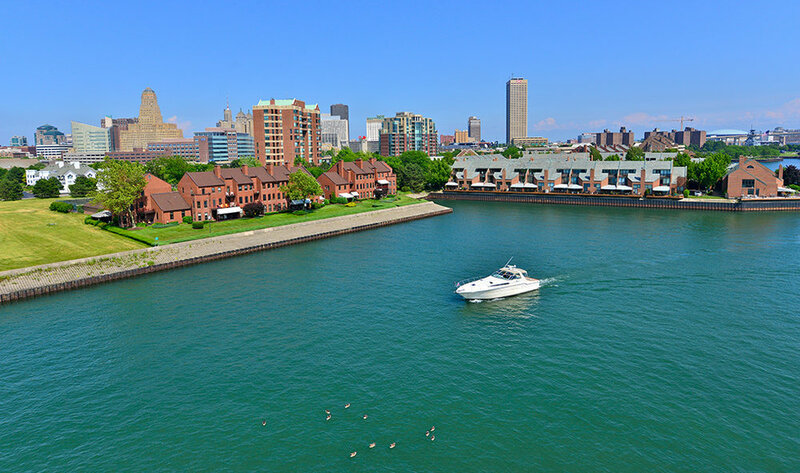 Canalside also boasts the Buffalo and Erie County Naval & Military Park, the largest inland Naval park in the country. Think cruisers, destroyers, and submarines on display. If you’re feeling a little more rebellious, head across the river to Riverworks, which you passed earlier on the river cruise. The repurposed grain silos house rock climbing walls, zip lines, curling rinks, a roller derby rink, a brewery, and way too many other activities to list. If the weather is nice, order up a cold one from The Ward, Riverworks’ restaurant and bar, and grab a seat along the river to watch boats and kayaks float by. Larkinville is another example of Buffalo’s revitalization efforts. The neighborhood that was once home to Buffalo’s first business district and the Larkin Soap Company is now an urban playground. At the heart of Larkinville is Larkin Square, where, each Tuesday during warmer months, the city hosts a food truck rally with over a dozen trucks, live music, and thousands of revelers. The neighborhood also houses several restaurants (including a refurbished diner car), two breweries, and a distillery along with a miniature golf course and pickleball courts. Of course, there is still plenty of old to explore along with the new, like the spot where President Theodore Roosevelt took his oath of office and the President William McKinley Memorial (who’s assassination in Buffalo led to President Roosevelt’s first term). The biggest draw to Buffalo for many, though, is the city’s rich architectural history. The city boasts works from greats like Frank Lloyd Wright, Louis Sullivan, H.H. Richardson, and Frederick Law Olmsted. Stand in awe of Lloyd Wright’s genius at the Martin House. Admire Sullivan’s Guaranty Building—one of our country’s first skyscrapers. Stay in one of H.H. Richardson’s fabled insane asylums converted into luxury Hotel Henry. And spend an afternoon enjoying the early urban planning of Olmstead at Delaware Park (great spot for a picnic lunch). All that exploring will work up quite the appetite, and Buffalo has a cuisine all to its own to help fill it. To start, let’s talk about the food that helped put Buffalo on the food map—the chicken wing. Here in Charlotte, we’re used to wings done dozens of different ways like smoked, breaded with a spicy Asian sauce, or slathered with sticky BBQ sauce. Buffalonians would snub their noses at all of those. Wings are done one way—fried and then tossed in a combination of Texas Pete hot sauce and butter. While Anchor Bar holds title as the creator of the Buffalo chicken wing, each local has their favorite wing joint, like Gabriel’s Gate, where the wings have just enough sauce to stick to the crisply fried wings. Beef on weck is another local staple born in Buffalo. The base for the sandwich is the kimmelweck roll, which is where the sandwich gets its name. The white bread roll is heavily sprinkled with kosher salt and caraway seeds for a signature crunch. The cut side is then dipped in the jus from the roast beef that is hand carved and layered between the roll. Horseradish is typically served on the side. The many layers of textures and flavors are reason to wonder why anyone would ever leave Buffalo. 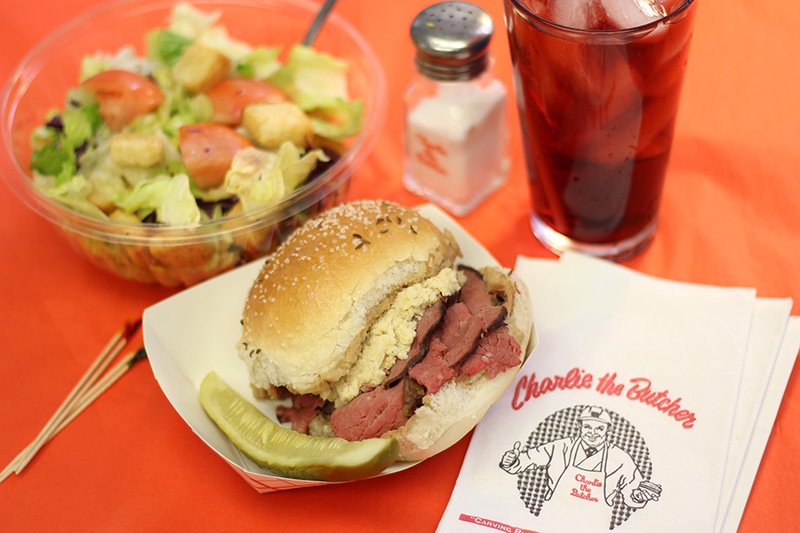 While there isn’t an originator of the beef on weck, Schwabl’s serves up one of the best examples, along with some old Eastern European classics like goulash and dumplings. Not born in Buffalo but equally as popular among locals are fish fries. The flaky, moist hunks of haddock were formerly relegated to Fridays during lent. Today, a few restaurants, like Gene McCarthy’s, serve them year-round. Gene McCarthy’s also has an onsite brewery to help modernize the blue-collar watering hole and restaurant. For dessert, there’s only one choice—sponge candy. Try it in its classic chocolate covered spun caramelized sugar form at Watson’s Chocolate or in a more creative interpretation like sponge candy ice cream at Fowler’s Chocolates or sponge candy stout from Resurgence Brewing. Once you’ve exhausted Buffalo, don’t head back home without a trip to wine country or out to East Aurora. Buffalo is book-ended by two wine trails—Lake Erie Wine Country and the Niagara Wine Trail. Along the Niagara Wine Trail, you’ll encounter 19 wineries pouring Pinot Noir, Chardonnay, Riesling, and Cabernet alongside native Niagara grapes and ice wines. Lake Erie Wine Country is the largest grape growing region east of the Rocky’s and offers a variety of wines from fruity Labruscas to European styles. Like wine country, East Aurora shows you a less gritty side of Buffalo. East Aurora’s claim to fame is the birthplace of the American Arts & Crafts Movement, thanks in part to Elbert Hubbard and the Roycroft Campus. Hubbard moved to East Aurora 120 years ago and attracted a community of artists, craftsmen, and writers with him. Today, that creative legacy lives on in the artisans of the Roycroft Campus and the quirkiness of the village itself. Stop into Vidler’s 5 & 10 to see what souvenirs you can take home with you (when I was in East Aurora, a group of Vikings walked into the bar, because Vidler’s), taste the reputed best wings in Western New York at Bar Bills Tavern, or enjoy a creatively crafted ale at 42 North Brewing. Buffalo is definitely a city worth visiting. Just make sure you do it during the warmer months, unless you want to experience the reason why there are so many expats living here in Charlotte. Several companies offer day tours from Buffalo to Niagara Falls, most of which provide a pick up and drop off from your hotel. Don’t forget your passport if you plan to visit the Canadian side! “Where are we eating next?” became the favorite parlor game for my wife, sister-in-law, and me during our three-week stay in Vancouver, British Columbia’s capital and favored port city. That we conducted this guide-book and app-reliant inquiry at mealtime whilst dining at a prior chosen restaurant did not take away from the conquest, it simply provided another high-barred frame of reference we sought to top with our next choice. And in more than 30 meals out, we rarely met with disappointment. Vancouver is a culinary crossroads where dozens of Pacific Rim and beyond cultures intersect with bounty from the cold Pacific Northwest waters, four seasons of verdant produce, sustainably farmed proteins, artisanal dairies and cheesemakers, and a curious Canadian unabashed approach to creativity in the kitchen that has garnering worldwide notice and acclaim. A fine introduction and gastronomic exploration of Vancouver starts with Granville Island Public Market, the heart of Vancouver’s food scene. Local guides, Vancouver Foodie Tours, provide an excellent half-day primer sharing the intriguing backstory behind the urban-planning/revitalization project that transformed a declining parcel of industrial warehouses into a gleaming showcase of Vancouver’s top specialty food purveyors and craft artisans. 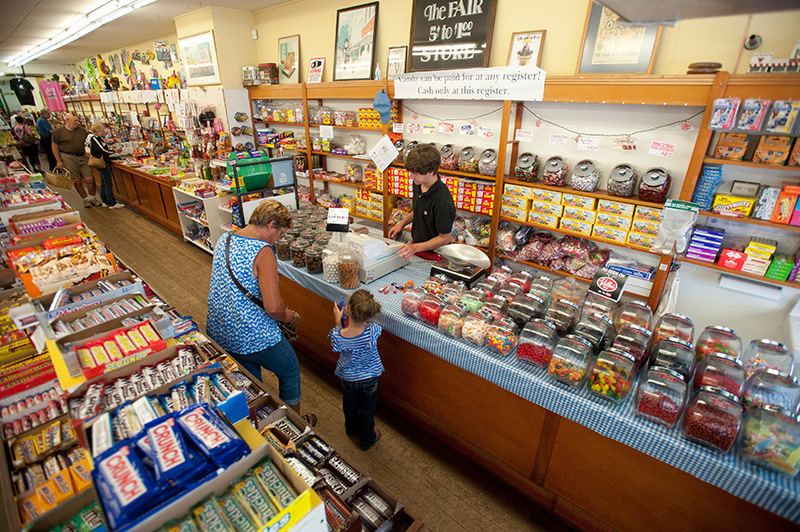 No chains or franchises here, the market is host to dozens of local food shops that tempt all the senses. Oyama Sausage are masters in the art of charcuterie and worth a lingering visit—the British Columbia red wine prosciutto and Bison bresaola are just two specialties not found elsewhere. Lee’s Donuts is a soul-lifting experience and sure to knock the most resolute off their diet as the giant fritters (apple/maple are killer) and honey-dipped raised donuts take intrepid eaters back to childhood memories of grandma’s just-made fried cakes. At Seafood City, find off-the-boat locally-caught goodness (sablefish, swordfish, ocean trout, and whitefish are among the catch) complemented by a huge smoked fish selection. The smoky maple glazed salmon was on my bagel (procured at the market’s Siegel’s Bagels) within minutes of purchase and an instant favorite. Granville Island Tea Company always has their spiced chai latte on hand for sampling among their exotic varieties, and Benton Brother’s Fine Cheese showcases small batch artisanal local cheeses like the Rathtrevor, a tangy mountain hard cheese that lights up when paired with nearby #1 Orchard’s Ambrosia apples. When it is time for lunch, Edible Canada is a smart choice with palate pleasers for carnivores and vegetarians alike—it’s easy to go vegan here with the extra crispy Falafel Veggie Bowl taking a starring role. Come to understand Vancouver through its food culture, and you’ll recognize why it’s such a popular tourist destination. A Wok Around Chinatown is a half-day introduction to Vancouver’s Chinatown, the largest in Canada and one the oldest surviving in North America. Historian Robert Sung is your guide and begins your journey at the Dr. Sun Yat-Sen Classical Chinese Garden. Modeled after private classical gardens in the city of Suzhou during the Ming Dynasty, the stunning design has been recognized by National Geographic as one of the most beautiful gardens in the world. Sung shares the history of Chinese immigration into Vancouver and takes visitors on a walking tour of the surrounding neighborhoods including stops at traditional markets, the fabled New Town Bakery, where their award-winning apple tarts fly off the shelves (more than 1,000 are sold each day) and legendary pork steamed buns often have neighbors three-deep at their bustling counter. Sung peppers the walk with tales of Vancouver’s Chinese—past and present—and the outsized influence Chinese investment is playing in today’s red-hot real estate market. Lunch is Mandarin-style dim sum at Floata Seafood Restaurant, where at Sung’s urging, chicken feet are consumed with gusto as are pork shu mai and shrimp ha gow. Sung is greeted at every stop as a visiting dignitary. 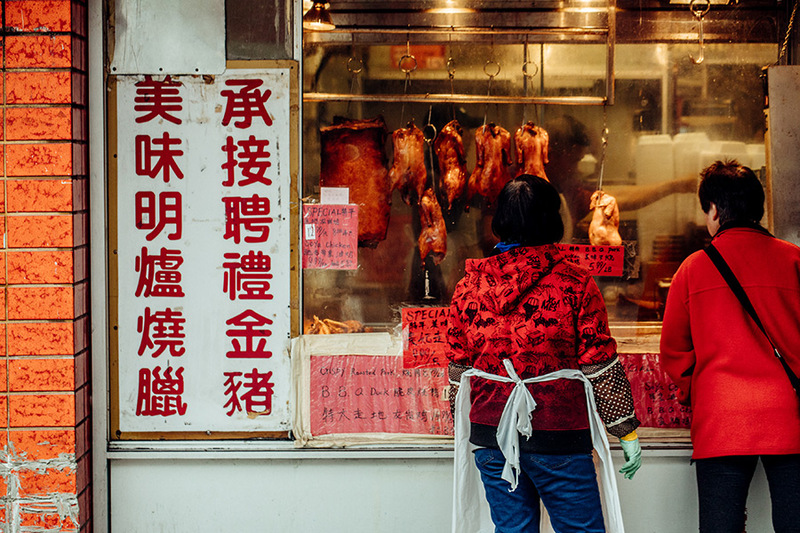 His friends at a nearby local butcher shop offer samples of tasty barbecued pork, and pal Daniel Lui treats his group to a traditional Chinese Gong Fu Ga tea-instruction at The Chinese Tea Shop. Vancouver’s Stanley Park, heralded as the top public park in the world by Trip Advisor in 2014, routinely makes global top 10 lists for good reason. This 1,000-acre oasis of civility on downtown’s edge is surrounded by water on three sides and is a mecca for joggers, families, birdwatchers, and all looking for peaceful respite from the bustling city. Stanley Park Horse-Drawn Tours deliver an hour-long overview of the park’s offerings and diversity, traversing a ring road providing glimpses of the park’s notable rose garden, rugby fields, harbor views, and stops for photos at the First Nations (indigenous Canadian people) totem poles and gardens. Visitors get a hint of how serious Vancouverites are about their dining by taking in lunch at the Stanley Park Bar & Grill. The highest order pub grub—notably their Fish & Chips—is made even better when framed up against their own Stanley Park micro-brew lager. Searching Yelp for “Vancouver Restaurants” yields more than 3,000 results. Keep in mind, many are of the tiny storefront variety barely seating more than a dozen. Take the insane Japanese hot dog mash-up parlor JAPADOG—a must try—if only for the weirdness factor. The signature dog here is the Terimayo, a decent New York-style frank with Teriyaki sauce, mayo, and seaweed. Braver souls go for the Yakisoba, buckwheat noodles and bit of pickled ginger topping the umami and earthy Japanese Arabiki sausage. Pace yourself—even the fries get a Japanese twist! Do you want Bonito (dried fish) flakes with that? I walked by the minute Saj & Co. Lebanese restaurant nearly a dozen times before deciding on a whim to try it. The place can’t be more than 300 sq. ft., with room for 10 people at most, but proved a truly special dining experience. 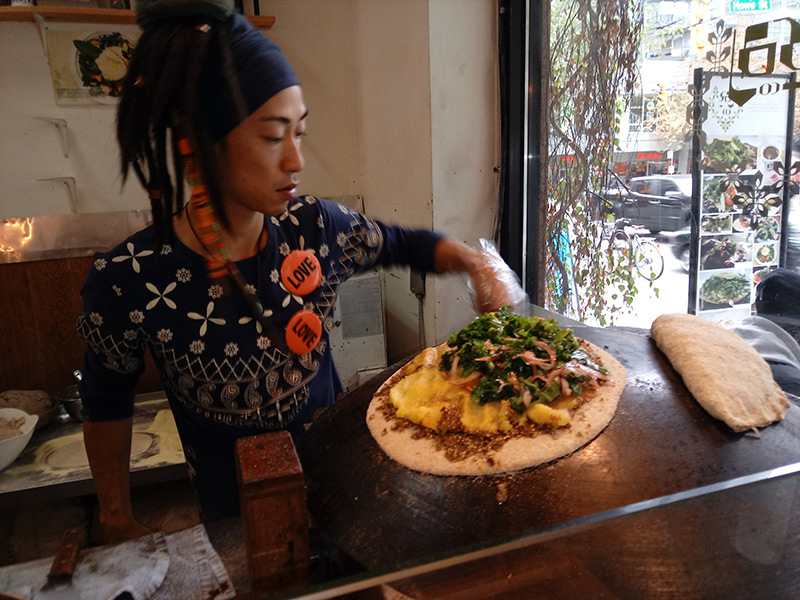 The open kitchen features a traditional Lebanese heated dome (Saj), where vegan and vegetarian flatbread wraps and sandwiches are prepared lovingly before your eyes. Kale, spinach, zaatar, haloumi cheese with olives, hummus, cucumber, and mint meld into the mind-blowing Super Green—a wrap I could eat every day. The menu is huge, and so are the portions, so consider sharing, or not—you may want to enjoy the goodness all to yourself. Working up an appetite in Vancouver offers twice the tourist reward, as a leisurely meal affords the perfect opportunity to recount the day’s less-than-trivial pursuits. Falling into Café Il Nido by chance one late afternoon, we found a splendidly cozy dining room, attentive service, and an inventive approach to classic Venetian dishes. It was the perfect venue to recap our long day at Capilano Suspension Bridge Park. A bit weary from hiking the park and soaking in the unimpeded vistas from the famed bridge, my wife and I were taken by the garlicky and pesto wild mushroom appetizer and fennel and apple salade de mer, followed by pillowy gnocchi dancing in a hearty sausage ragu. The meal here was the perfect capper to our glorious fall outing. Ancora Waterfront Dining is described online as Peruvian/Japanese fusion bistro—a modest descriptor falling well short in capturing just how wonderful this restaurant is. I enjoyed three distinct dining experiences here, each left me wishing this restaurant was not 3,500 miles from my home in Charlotte. Listed as one of Canada’s best 100 restaurants in both 2016 and 2017 by Canada’sBest100.com, Ancora is polished and sophisticated at every turn, executing both on and off the menu. The harborside eatery glows even on cloudy days from the bank of floor to ceiling windows overlooking the rambling Vancouver Sea Wall (a fabulous miles-long linear park) with crisp white linens and handsome settings atop well-spaced tables. Servers are well versed in both menu and cocktail offerings; Pisco Sours at Ancora are frothy, tangy, and the perfect aperitif for the treats to come. Crispy prawn cousa is a delightful starter, where meaty prawns flank lightly buttered potato chubs, rocoto harissa, kale, avocado, and a piquant escabeche sauce. The main event is a Forbidden rice paella with Ling Cod, chorizo, corn, and baby shrimp. Herbal and spice infusions and slow cooking make Ancora’s dishes stand out. The pastry chef displays remarkable prowess here with ganache’s and pastry combinations of Dark Chocolate and Yuzu and Grapefruit and Macha positively stealing the show. A visit to Canada Place is a must for tourists to take in the downtown buzz, fabulous public art, and centerpiece plazas built for the 2010 Vancouver Olympics. Flyover Canada is a heart-pumping 4D simulated helicopter flight over the country from the cold seas off Newfoundland to the stunning drop of Niagara Falls, through downtown Toronto, over Calgary prairies and atop the Banff glacier and into Vancouver. 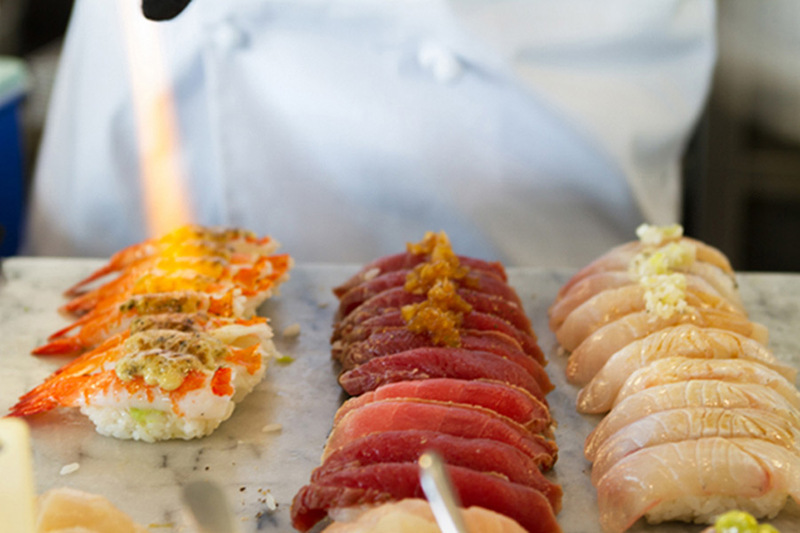 After your flight, splurge and head over to Miku, serving the most sought after Abori-style (blowtorch famed) sushi in the city. The buzzy eye-popping dining room is great for people watching and even better for enjoying expertly prepared Japanese cuisine featuring the best of the Pacific Northwest’s bounty. There’s simply one requirement for visiting Vancouver ... come hungry!